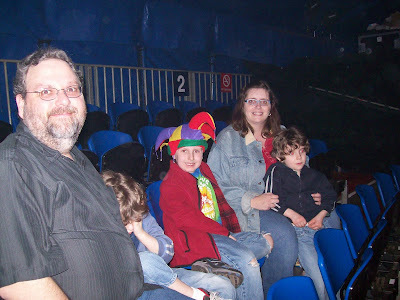 The husband won tickets to THE BIG APPLE CIRCUS and I've got to say it was fairly amazing. A not for profit group who does a real live old fashioned tent show - they are NOT what you are expecting at the circus. It was intimate, it was traditional and possibly more meaningful for MY family - it was put on by a group that specializes in bringing the circus to special needs families. I didn't know this when we went in, but learned it pretty quickly based on the number of groups that we saw there plus my husband had read about it. 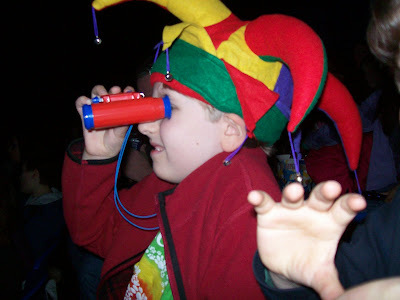 They even do a special show called Circus of the Senses for hearing and sight impaired children. It makes me a little weepy - some people's hearts are so big it amazes me. Bello the clown was back with the group and I have to admit, his acrobatics are nothing short of heart stopping. I don't even know how someone who isn't a little tiny gymnast person DID the stunts he did - but he did and made it look effortless. If you ever get the chance, this isn't the glitz and glam and themed stuff you get at Ringling. Don't get me wrong - I still like the big circus even though last time we went it was more like performance art than a circus. But the BIG APPLE CIRCUS? Just WOW. Isn't that jester hat IDENTICAL to one that Matt used to wear??? ?